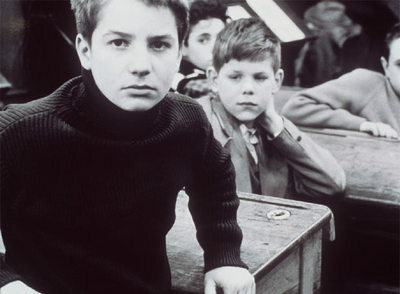 The 400 Blows (French: Les Quatre Cents Coups) is a 1959 French film directed by François Truffaut. One of the defining films of the French New Wave, it displays many of the characteristic traits of the movement. The story revolves around Antoine Doinel, an ordinary adolescent in Paris, who is thought by his parents and teachers to be a trouble maker. A semi-autobiographical film, reflecting events of Truffaut's and his friend's lives, its style amounts to Truffaut's personal history of French film — most notably a scene borrowed wholesale from Jean Vigo's Zéro de conduite. It is dedicated to the man who became his spiritual father, André Bazin, who died just as the film was about to be shot.